On top of the world – Skiing, sliding, stacking and smiling on the slopes of Sunshine Mountain, Banff, Canada. Tell me, what could be better? What started out as a trip to Banff to catch up with friends Clara and Alison, turned into a Canadian Rockies adventure, where I experienced some of the best snow that Canada has to offer. The term ‘rusty’ is an understatement when applied to my skiing ability. Luckily for me however, I was treated to my own personal ski instructor in the form of Alison on my first day back on the slopes in a very long time. 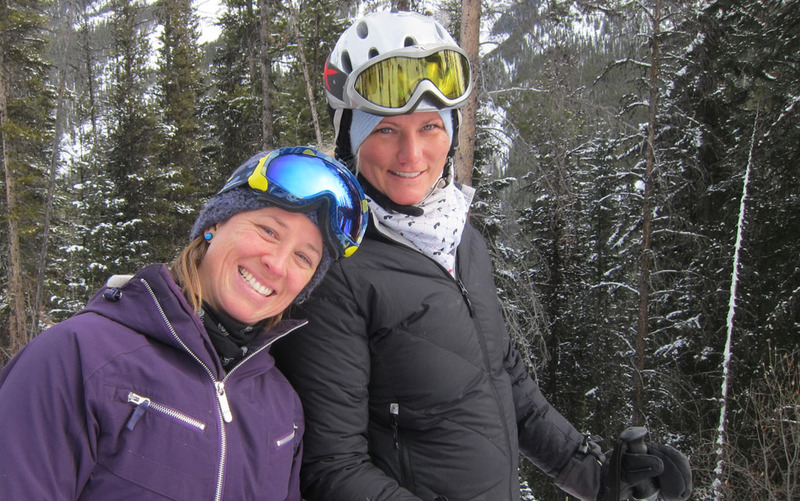 Alison is not only an incredible skier but she also works as part of the Ski Petrol team at Sunshine Village. Thank goodness I was in such safe and capable hands, as not having skied for over ten years I was certainly out of practice and in need of a lesson or two. 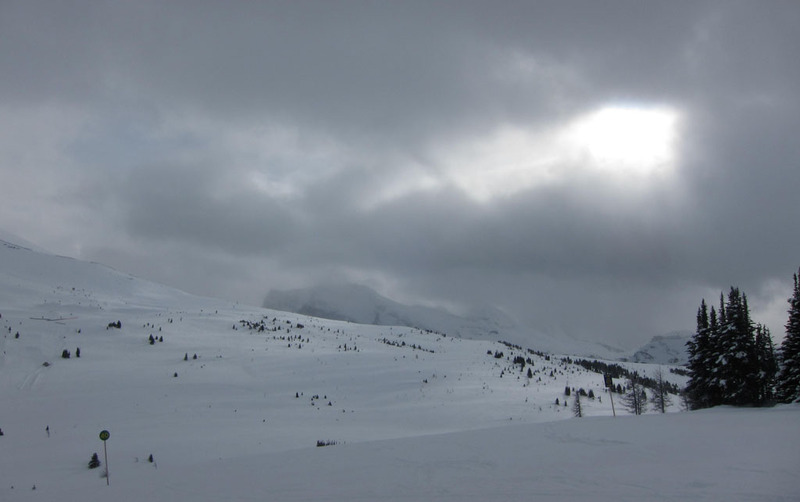 Although I was kitted out in all the latest gear from head to toe, the ski boots, ski poles and the skis themselves all felt extremely foreign to me. However after a couple of runs in the learning area, familiarising myself with the basic movements (namely how to stop), I started to get the hang of things and feel more comfortable and ever so slightly more confident. Alison however, more confident in my ability than I was, suggested that we take the chairlift up the mountain. After navigating and shuffling our way through the line we eventually made it onto the chairlift, and soon we were being lifted higher and higher up the mountain. As I looked over my shoulder I could not believe how stunning the view was. 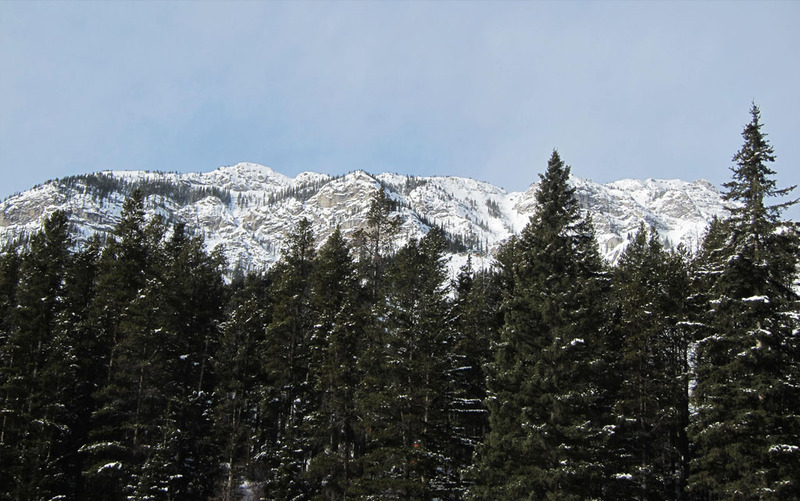 Nestled between the Rockies, and located within Banff National Park, Sunshine Village is surrounded by mountains and has a wide-open terrain with a total of 3358 acres of skiable areas. We were on one of the twelve lifts that service the 107 named runs. As I scrambled to find my camera I was sadden to see that the photos I was taking did not do justice to the magnificent surroundings, so I decided to put the camera away and let my eyes take it all in. Although I could not get enough of the views, I was happy to see the end of the ride was in sight as the onslaught of icy winds, lashing against my face was becoming rather painful. After a surprisingly smooth dismount I became aware of the fact that I was standing next to a trail marked in blue. I started to feel overwhelmed and intimidated by the sheer drop that I faced. However not wanting to let my nerves get the better of me or be out skied by five year olds, I followed Alison’s instruction. I found confidence in the fact there were people like me who where just as unsure on skis as I was. Once I let go of my fear the ride down was absolutely exhilarating. Of course there were a few hiccups along the way; a few stacks here and there, the loss of a ski, an embarrassingly long slide down a slope, as well as quick thinking jump from a chairlift that I forgot to get off! That happens to everyone, right? Yet despite all those tales of misadventure, skiing on such glorious terrain as Sunshine Mountain was an absolutely incredible feeling. Getting There: Located in the Rocky Mountains of Alberta, Banff Town can be reached by daily shuttle buses that operate year round from Calgary International Airport. An adult fare is around $50 one way and $98 round trip. Getting There: Sunshine Coach offers return trips from Calgary and Canmore to Sunshine Village. Daily departures from several locations during the ski season. Getting There: Calgary International Airport is served by non-stop flights from major cities throughout the world.